Hi all, after Myrna’s lecture today I was thinking more about a question that came up during this panel discussion I was on a week or two ago. A public library director explained how his library offers programming and information around the census, and will be expected to again in 2020, especially because most of the data collection will be online, rather than paper forms. He wanted to know what we thought public libraries should do about/for 2020 census if the citizenship question makes it on to the official form. I don’t think any of us had great answers, other than to say that the issues around it should be addressed in whatever education they provide. Yesterday, @kellymce and @mtkinney and I spoke about this and Kelly mentioned encouraging everyone not to answer that question. I looked up more about it, and the Census Bureau will tabulate forms that are filled out incompletely, although this may trigger a phone call or a home visit by a census worker, which vulnerable people would likely find more alarming. Also, you can be fined $100 for failing to answer questions on the census or $500 for knowingly providing false information. To fill in the blanks on 2020 census forms, the bureau is planning to use, for the first time, personal information from federal and state records, such as tax returns and Medicaid applications, as well as public utility records. The Census Bureau is discussing whether to use administrative records to answer the citizenship question on incomplete questionnaires and has not made a decision yet, the Census Bureau’s head of the 2020 census, Albert Fontenot, told NPR after speaking at the Population Association of America’s annual meeting. It’s so thorny, right? I mean, it’s vital that people participate in the census for apportioning legislative districts, and at the same time, how do you advise people to volunteer information that could risk their safety? What do you folks feel the role of libraries should be in this particular aspect of democracy? yeah, this seems to me one of those things where there is NO safe way to advise our patrons, and so if we want to do something about it we need to figure out how to use our collective power as librarians to fight against it. I am often frustrated with ALA for not using its lobbying power for things like this that are CLEARLY intellectual freedom issues. or like even calling on librarians to do a letter-writing campaign to legislators. ALA is always silent about these issues, why? 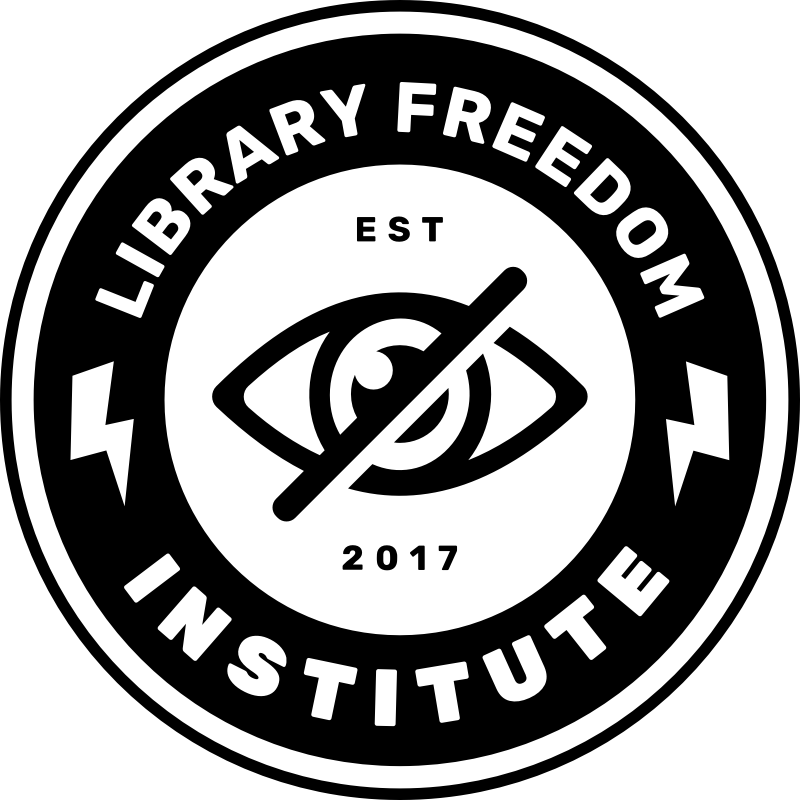 this is one of the things I brainstorm about a lot for the future of LFP…how to use our power to engage librarians around collective action. blurg! i was hoping not answering didn’t do anything. i found a website that says no one has been fined since 1970, but can’t substantiate it somewhere else. Hi All. After the 2016 election we formed a Critical Response Committee at OPL to respond to the ongoing series of horrors that were happening around immigration, race, transphobia, homophobia, etc. We held a community forum in response to the Muslim Ban, held Bystander Trainings for responding to ICE, and are working on creating quarterly seminars on topics of concern. We also have white boards in some of our branches and pose monthly questions for patrons to respond to as a form of community engagement. The responses to these questions will help us design the quarterly seminars. November’s question is “What Does Democracy Mean to You?” Some of the responses at my branch are “Having a say in what goes on in politics,” “Vote!” “I vote for Donald Trump not to be president,” “Taking part in my community and exchanging ideas for a vision of the future,” and “To honor those before us who could not vote to tell them their beliefs for our better life is still available if we pay attention and raise our voices.” I don’t have a microphone on my work computer and was typing all this in the chat, but by the time I finished typing we’d moved on to something else. I did want to share it here, though. I feel fortunate that I live in Oakland where we’re able to do this type of programming without much push back, but I’m sure community engagement in more conservative areas looks much different (white folks dressing up as Mexicans and the border wall for Halloween, for example). I also wish ALA would take a stronger stance on helping librarians engage around collective action. Alison, I’m so grateful for the work you’re doing and for this LFI experience! that is really incredible stuff @Rebekah. thanks for being involved in that work. I hope it continues. as for the ALA thing, sometime I would love to brainstorm about what librarians want from ALA (in terms of standing up for our ethics) that they don’t get. and then maybe we can take that list and build some capacity in Library Freedom to meet those needs.